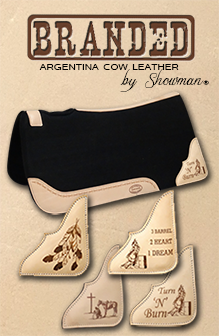 Showman ® Buckstitch leather flag carrier. 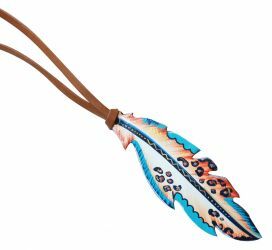 Tie Dye leather tie on feather. 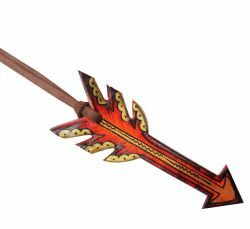 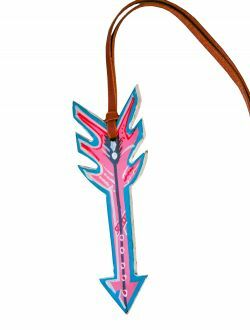 6.5" Hand painted leather tie on arrow. 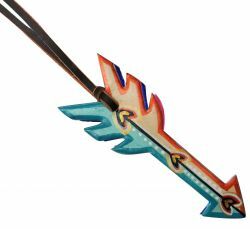 6.5" Hand painted tie-on saddle arrow. 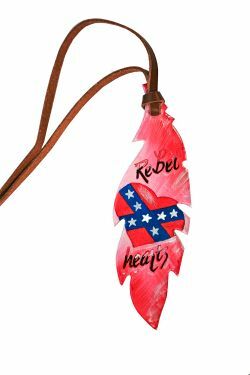 6.5" Hand painted "Rebel Hearts" leather tie-on saddle feather. 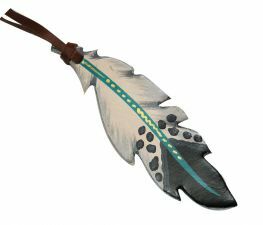 Teal hand painted tie-on feather. 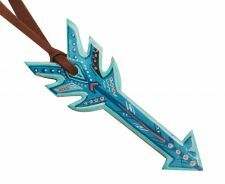 Teal hand painted tie-on arrow.
" 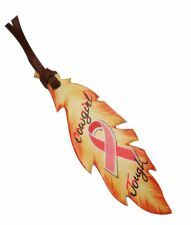 Finish Strong" hand painted tie-on feather. 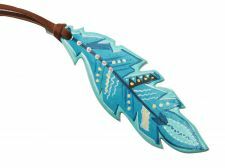 Hand painted tie on feather with teal accent. 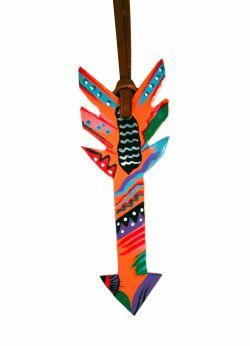 2" x 6.5". 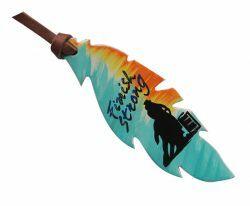 "Cowgirl Tough" hand painted tie-on feather.
" 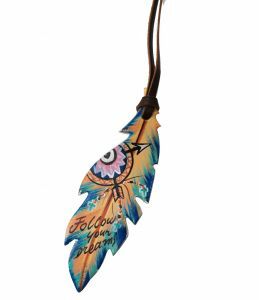 Follow your Dreams" hand painted tie-on feather. 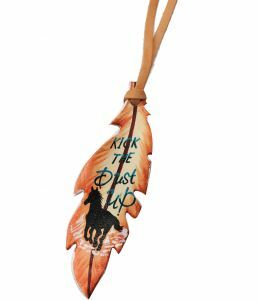 "Kick the Dust Up" hand painted tie-on feather.
" 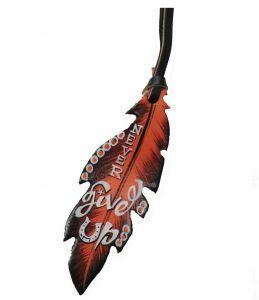 Never Give Up" copper hand painted tie-on feather. 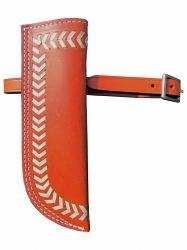 6.5" hand painted tie on saddle feather. 6.5" x 2" hand painted " Fire & Gold tie on feather. 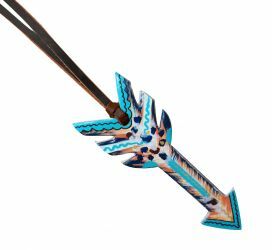 6.5" hand painted tie on saddle arrow. 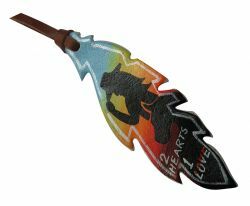 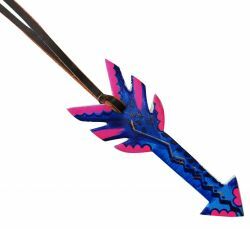 6.5" hand painted tie on saddle arrow with heart design. 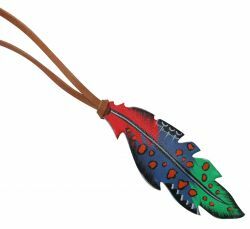 6.5" hand painted " Wild Thing" tie on feather. 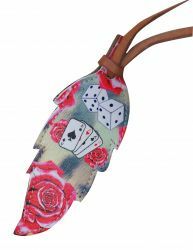 5" " Gambling Rose" tie on feather. 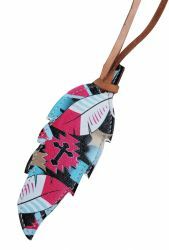 5" Cross & feathers print tie on feather.